A FL suspended drivers license can put you on a downward spiral. It all starts with a Florida speeding ticket or Jacksonville traffic ticket that you do not pay. Your drivers license ends up suspended. Your Florida tickets end up in collections. You still do not pay the tickets. You end up being pulled over for Florida driving on a suspended or revoked license in Orange Park FL. You pay all of your tickets. You get your drivers license reinstated. Your license ends up being suspended again due to excessive points. You continue driving. You are stopped again for driving on a suspended or revoked license in Green Cove Springs. You straiten your Florida driving record out. You get your license back again. Within a five year period, you are give an criminal traffic citation in Fleming Island for Florida reckless driving. You are convicted of the reckless driving charge. You receive a letter from the Florida Department of Highway Safety and Motor Vehicles telling you that your license is going to be suspended for five years. The letter informs you that you are a Florida Habitual Traffic Offender. This is due to the fact that you had 3 qualifying driving violations within 5 years. You were convicted of driving on a suspended license twice in Clay County FL. You were adjudicated guilty of reckless driving once. What do you do now? You cannot have a suspended license for five years. How will you go to work? How will you go to school? How will you take care of your children? Will you be able to provide for your family without a drivers license? You do not realize how important your drivers license is. For example, I am a Jacksonville criminal lawyer. I travel to court around Northeast Florida. I go to court in Green Cove Springs. I take cases in Nassau County. I represent people at the St. Johns County Courthouse in St. Augustine FL. I handle Jacksonville drivers license cases in Duval County. I need my drivers license to do my job. This is true for many other professions. I have represented people that work. They pick up their children from school. Drop them off at the baby sitters’ houses. Then, they go to school at night. That would be next to impossible to do without a valid drivers license. You may be thinking “Can I get a Florida hardship Drivers License as a Jacksonville habitual traffic offender?” You must wait one year before you can even apply for a hardship license. This does not mean that you will be granted a hardship license. You may not be able to wait an entire year. Also, a hardship license significantly limits when and where you can drive. If you are caught driving on a hardship for an unapproved purpose, you could get in trouble and lose your license again. Your insurance rates will also be very high. As a Jacksonville drivers license lawyer, I recommend trying to fix your Florida driving record. You may be able to obtain a valid drivers license without restrictions. If your tickets are in Clay County, your Jacksonville lawyer will need to petition the Clay County Court. Contact 20 Miles Law to have a Clay County lawyer work on your suspended drivers license. You amy call 904-564-2525 to talk to a Florida attorney that has helped other habitual traffic offenders. The longer that you wait to fix your license, the worse things will get. You will likely end up driving. If you are caught, you may be arrested for a felony crime. A Florida criminal background check will show a felony arrest. Then, you will need to worry about sealing your Florida record. Call 904-564-2525 or send an email by clicking on Find a Lawyer. 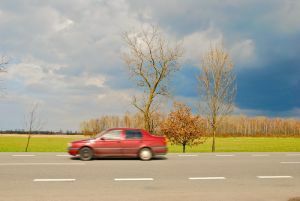 Read How Can a Florida Habitual Traffic Offender Get a Drivers License to learn more about getting your license reinstated. You may also read Why Is My Florida Drivers License Suspended as Habitual Traffic Offender?